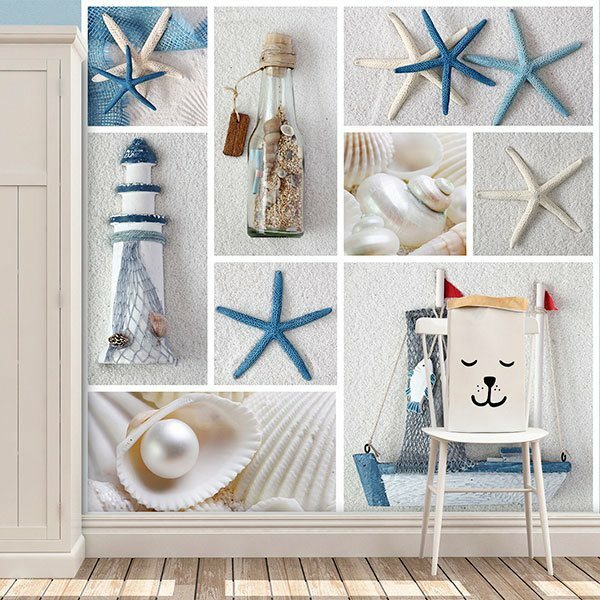 Wall mural Collage Sailor. 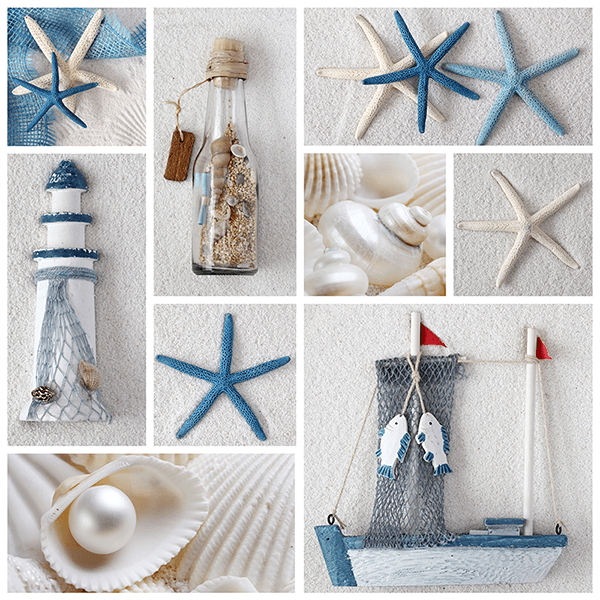 Magnificent assembly of elements of the seabed, fishermen, maritime lighthouse, white sand beaches. 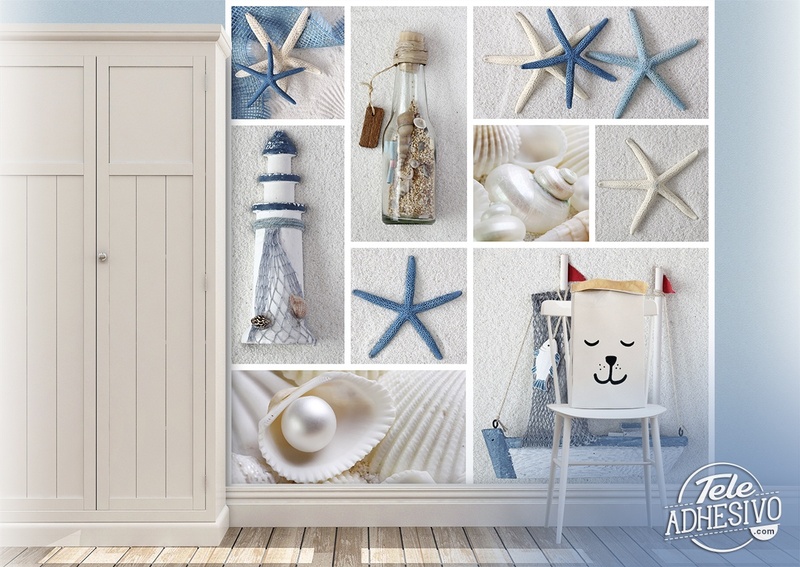 Fabulous combination of white and blue colours with objects from the sailor's world, from starfish, a fisherman's boat or a bottle with shells. 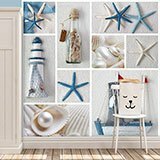 Size: 37 x 3 cm.